Looking for an affordable yet modern look toilet for your bathroom? I’m going to share TOTO Aquia review today. TOTO Aquia One Piece toilet is the one which fits into your requirements. Bathroom remodeling is indeed an expensive process, you have to replace a lot of things at the same time and also have to stay within the estimated budget. But what you need the most is to grab a beauty impact into space after remodeling. Aquia Toilet from TOTO delivers you both things, you don’t have to break into a bank for its cost and toilet it brings ultimate style and modern touch in the space upon installation. But don’t decide quickly, let’s first explore its good and bad features and then make your mind accordingly. My friend recommended me this toilet when I asked him to suggest a toilet seat which could match my budget requirements. Now I have used this TOTO product, so I’m able to provide you an honest review of this product. I know the frustration when you buy a product which turns faulty later. If someone asked me whether you are completely satisfied with TOTO Aquia toilet then I will say “No”. The reason is that my expectations were quite high and this product met many of them but not all of them. Therefore, I say that it is a better toilet product as compared to other seats available in the market but it’s not the best one you can have. Based on my experience, I would like to provide you a list of its great features. It is made of Vitreous China while chrome dual button flush trigger installed tank top. 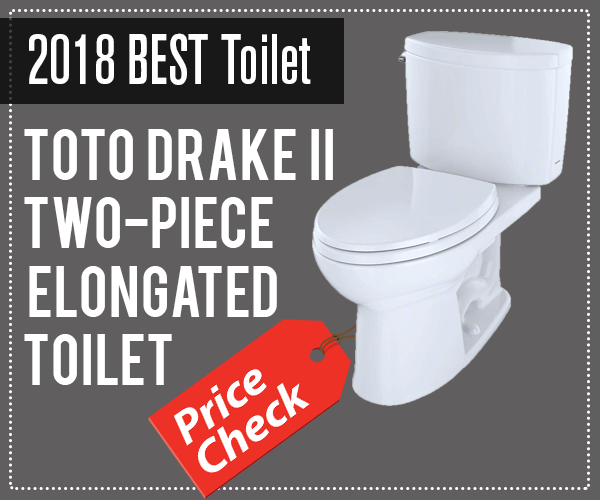 When it comes to reliability then the name of TOTO toilet comes in the top of a list. You might have to change the buttons after two years but the main seat is durable and last longer than you expect. It doesn’t fully meet requirements of ADA Legislation. The toilet comes with a universal height that meets the standard requirement but it doesn’t fulfill flush lever requirements. Therefore, you cannot install them in public bathroom. If you have young children then this toilet seat is a not good choice for their bathroom since its height is perfect for adults only. We all have a theme in mind when it comes to bathroom remodeling and decor. It’s important to stick with this theme, just to grab a refined finish. If I talked about myself then white was the main shade I was looking for. When you discover color collection, they have two white shades: Cotton and Colonial White. There is a difference between both. Cotton is pure white while Colonial White is kind of off-white. I picked Cotton. This shade is perfect and it brings the same luxury appeal you always see in the modern white bathroom. You will also get three more color choices: Ebony for the black bathroom, Sedona Beige for Sunny theme, Bone for off-white color scheme. The pictures of TOTO Aquia One Piece Toilet don’t showcase its beautiful design as they should be. One thing which made me happy after the installation of this toilet was the chic touch which it brought to my space. When you compare this product with high price models than you convince that it matches to them somehow in terms of design, finish and touch; though not an exact match. Dual-Max Flushing System: It is certainly the best feature which makes TOTO Toilet an excellent product for the bathroom. You are free to choose between half/ 0.9 gallons per flush or Full/ 1.6 gallons per flush depends on your need. There is no need to waste the water at all. This flushing system is quite sensible and it reduces your water consumption to 1.13 gallons per day. In other words, this is an environment-friendly toilet design which optimizes water conservation to a great extent. One thing which was quite annoying about my old toilet seat was that it required daily cleaning. Therefore, I decided to buy an easy to clean toilet next time. I have been using this new toilet for more than 6 months and it is quite easy to clean. It’s not like you flush the toilet fully and it doesn’t get clean. You don’t have to keep cleaning brush in your hand all the time. So, it is another great feature which you would like about TOTO Aquia one piece toilet. You don’t need to hire a professional to do the installation. If you know basic installation and how to work with a screw then you are able to install it in just a few minutes. Its installation process is same as standard toilet seats. It requires, waste trap seat and toilet seat securing screws for proper installation. As I said before in my Toto Aquia One Piece Toilet review that this is a better option, not the best one. It has great benefits but this product doesn’t go without shortcomings. Let’s find out what are its advantages and disadvantages for the user. It meets ADA Standard Legislation in terms of height and bowl shape but not in terms of flush level. You need some time to get used to its steep bowl. It doesn’t meet ADA specification, not the right choice for the public bathroom. TOTO Aquia One Piece toilet has a compact and modern design that can enhance charm of a space and let you do bathroom remodeling with beauty and grace. You are able to buy a product that meets the basic standards along with your budget requirements. Dual flush mechanism conserves water and lets you show an environment-friendly behavior. However, it requires replacement of flush buttons after a year or more. You can’t install them in kid’s room. If this is not the issue for you, then your money will be well spent on it. Think and make the right decision. It’s not easy to buy toilet seat again and again. It is suggested to make wise choice always.